This looks so much better than open shelves full of CDs. Once again: solid pine; solid value and it just looks so good. 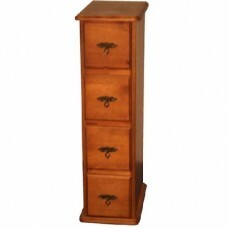 All of the Clarendon range is finished in a mahogany satin stain and every piece of it looks fantastic. The Clarendon CD Unit is manufactured by our associated factory in South America. The CD Unit shown is representative of the actual item, as it is a natural product there may be variations in the shade or the cut of wood. 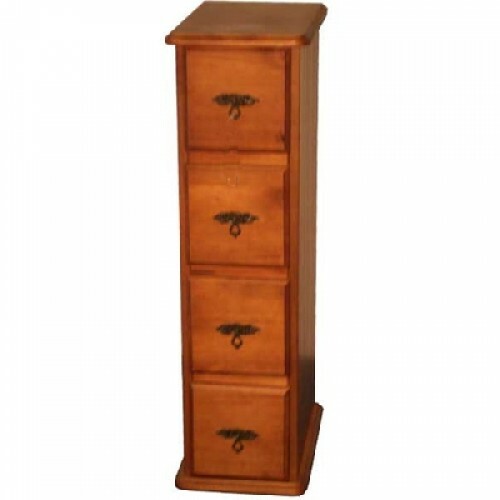 As with all of our pine furniture, you will see that this CD Unit is made from high grade solid timber.